A new report published by the Health Information and Quality Authority has found that child protection services in Cavan and Monaghan were not dealing adequately with the needs of a large number of the 2,419 children referred in the region. 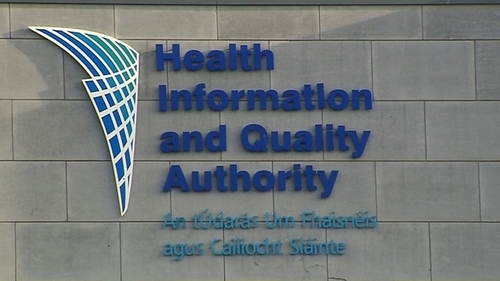 HIQA inspectors found significant delays in assessing children's cases with 512 children awaiting initial assessments by a social worker. The inspectors also found that 13 children had been waiting more than 12 months for further assessments, including for alleged sexual abuse and psychological assessments. The announced HIQA inspection was carried out in the Cavan/Monaghan health area in February of this year. According to information provided by the Health Service Executive, there were 2,419 referrals of child protection concerns in this region in 2012, 555 of which related to children already receiving a social work service. There were 180 children in care, and 59 children subject to child protection plans. HIQA also found that some children in parts of Cork are waiting over a year to have a dedicated social worker allocated to them. An inspection of the HSE Child Protection and Welfare Service also found that 32 children in care in the Cork North Lee region did not have a dedicated social worker. The HIQA inspectors also found that only one in ten referrals of cases relating to child abuse had their initial assessment completed within the 20-day period set down in the Children First Guidelines. The HSE Cork North Lee region provides services to 1,661 children in an area ranging from Youghal in the east to Macroom in the west and all of Cork city north of the River Lee. There are 507 children in care, three children at home under a care order, and 56 children under supervision orders. The HIQA inspections were carried out in February of this year. Of the 27 standards assessed, all were met in full or in part, eight were met in full and 19 met in part. Overall, the findings of this report show that children received a welfare service which supported their safety. Timely action was taken to protect children who were considered to be at a high risk of harm or neglect, but there were significant delays for those considered to be at a medium or low risk. The inspectors found that the reason for this was down to insufficient resources to meet the increasing demands of the services. HSE best practice sets a target of 20 days to complete the initial assessment, but only 9.8% of referrals for child abuse in 2012 met this target. For some cases it was several months before initial assessments were completed. Cases of child abuse with a high priority were allocated within days, however some low priority cases had no allocated social worker for several months.